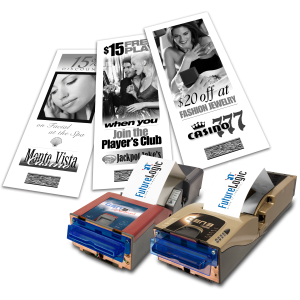 Intelligent promotional couponing for carded & uncarded players. The goal of every casino is to identify their most valuable customers while enhancing the gaming experience beyond the players’ expectations. But until now, casino operators have been challenged to identify non-carded players or differentiate the most valuable patrons in real-time. FutureLogic’s PromoNet® solution provides the answer. 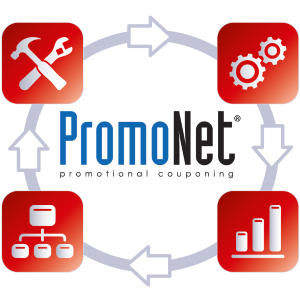 This intelligent couponing solution identifies valuable players, targets both carded and non-carded players, links promotions to game-play and delivers promotions exactly where and when they are needed. The PromoNet solution enables operators to tailor different rewards programs to all players (carded or not). With promotional triggers working in real-time, the PromoNet solutions can link game-play metrics and slot promotions directly to player behavior, thus enabling casinos to boost Player Club sign-up, extend game play and increase slot revenues. Compatible with the latest FutureLogic TITO and desktop printers,the GEN3 Evolution® printer, the GEN2 Universal™ printer as well as the CouponXpress™ printer and DRT™ redemption terminals, the PromoNet solution offers easy-to-use Marketing Studio and Online Monitoring software. Through a multi-level access, control and secure approval features, the system can allocate budgets, design coupons, select triggers and conditions and, finally, approve promotions and download them to designated slot machines across the operation. 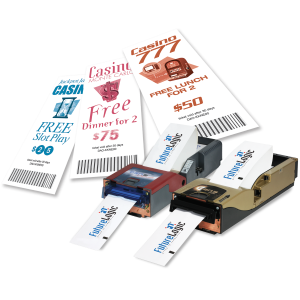 Once downloaded, coupons can be issued from the slot machines either automatically, based on game-play behavior that meets pre-set conditions, or manually, via the casino’s host issuing on-demand coupons through mobile computing solutions. Players can then redeem the coupons at the relevant location. This solution personalizes the player’s experience by allowing them to redeem, exchange or accumulate coupons, or progress through game play according to their own rewards program. 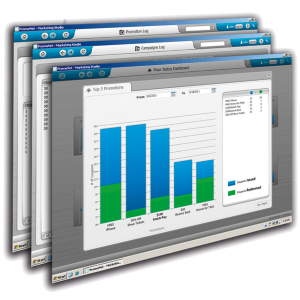 With a multitude of ways to segment marketing data, PromoNet’s Business Analytics features provide all the information casinos need to identify player preferences, optimize promotion effectiveness and maximize results across the operation.